What Sunset Preacher brings are two explosively wonky and intricately built jagged-pop gems, cut at obtuse angles and loaded with fractal guitars. Get caught in this tangle and this 3-piece crew will sink its hooks in deep and cleanly with overwhelming finesse. If the guitars don’t getcha the lyrics will, with B-side “Confessional” proving that early and often. “Drinks with your divorce/ feelin’ pleasure and remorse,” spits Philip Frobos – “Steel reinforced/ she was built to stay the course,” he spits again, pairing together a handful of vocal hooks that are downright pleasing. However, the spring-loaded bass and guitar combo spearheads their primary attack, delivering this relentlessly crooked sound with the utmost sense of urgency. “Sunset Preacher” displays many sharp angles and twists, provided by Frankie Broyles and his dazzling guitar work. The strings are tight and the reflexes are quick, coming with harsh strumming and finely tuned plucking that masks a glassy rattling hidden in the background. Words don’t really do anything that’s happening on this 7″ justice – you just need to hit that play button right below. 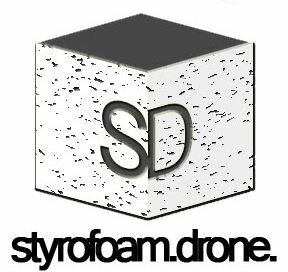 Posted on April 27, 2018 by styrofoamdronePosted in 7", Reviews, Still Spinnin'Tagged garage rock, pop, post-punk.